About 3 weeks ago I came out of the store and my car would no longer make any audio. The head unit still behaved like it was working, I could change the radio, change iPod songs, CD tracks, etc. But no sound, not even for navigation. Started pulling fuses: 24, 26, 36 in the small fuse box in the dash br the steering wheel. Sometimes while running, sometimes while the car is off. Many people reported this fixed their issue (but sometimes reoccurs). Also pulled fuse 40 (?) out of the front SAM, that was a pain, had to pull out the whole wiring bundle grommet to get at it. Took the CD changer out of the MOST fiber loop. Sometimes it can flake out and disrupt the fiber bus causing no sound. I picked up PN 000-545-44-84 'CONNECTOR' for $5.57. Its a small black plastic clip that connects the ends of the fiber loop to each other. None of these fixed it so I kept going. 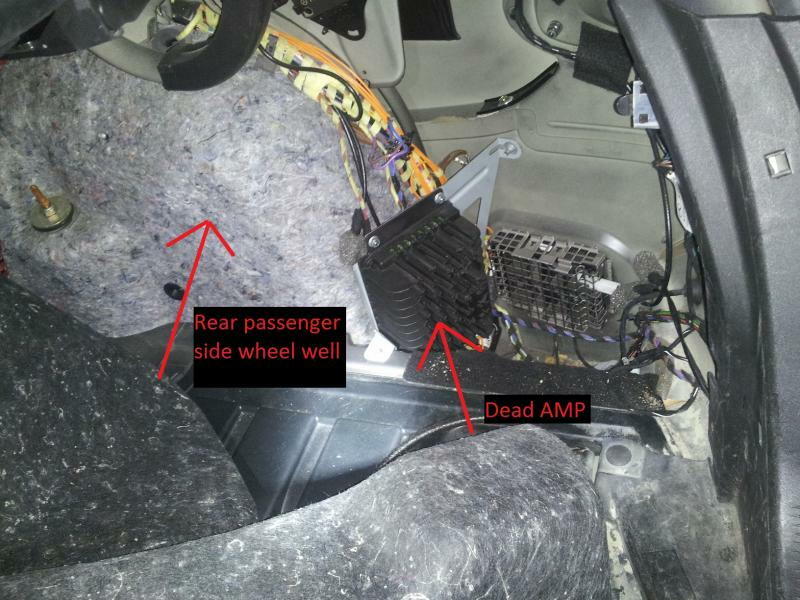 Pulled off the pass-side door/sill plate, removed the whole passenger seat, pulled up the carpeting and checked the wires. Removed the trunk lining and got into the amplifier area. Passenger side rear behind the wheel well. The amp seemed ok. It was getting fiber signal and powering up. It is held in by 4 x 10mm nuts, the 2 at the bottom are a pain. I fired up an old laptop I have with a stripped down version of Mercedes STAR diagnostics that I had successfully used on my old W203 but it couldn't talk to the radio. Still no change and SRS errors every time I started the car. I had given up at this point, there was nothing left for me to trouble shoot. I wrote out a long description of what I had done and hoped for the best. The awesome tech at Bloomfield Hills Mercedes called and complimented on the extent of troubleshooting I did on my own but said only a $156.00 scan by their STAR machine would determine the problem. Performed wake up test, second system has no reaction. Test showed voltage 12.3 to 2.2 volts. Need new amplifier"
So just for fun I asked how much for him to swap the amp. $1800 Yeah no way I'm paying $1800 for just an amp. I'd rather swap out the whole damn system. I thanked him and went home with my tail between my legs. At least I knew what was wrong now. I found an amp on ebay for $350 but it sold before I could get to it. Found one local for $457.13 and swapped it out this morning. My sound is now working again. MASSIVE respect for such thorough troubleshooting! Nice work and info; unbelieveable tenacity..
And for doing all of that research and work! I will look into this right after Derby. 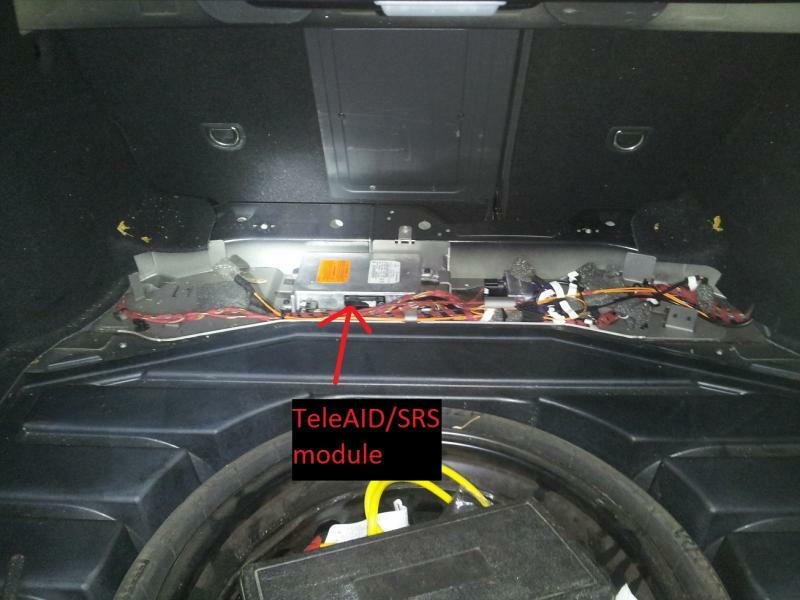 Your photos and great details allowed me to locate my CLK550 amplifier in the right side of the trunk, wonderful info for those who never removed the component before! Something interesting is that while the amplifier seemed to be fried, pulling the circuit board metal cover (remove six very small screws) brought the amplifier back to life, it has been working ever since. I noticed the sound would die if the cover screws were tight, but would otherwise work if the cover screws were turned counterclockwise one turn. Maybe something is shorting out? Or the housing or circuit board is warped? I believe that's probably the case ! I opened up my amp and there was physical damage marks on the PCB, guess it died of old age. The replacement amp from 2013 still works to this day.